Wow I havent pressed the ‘New post’ – button for ages, but I’m back – finally. 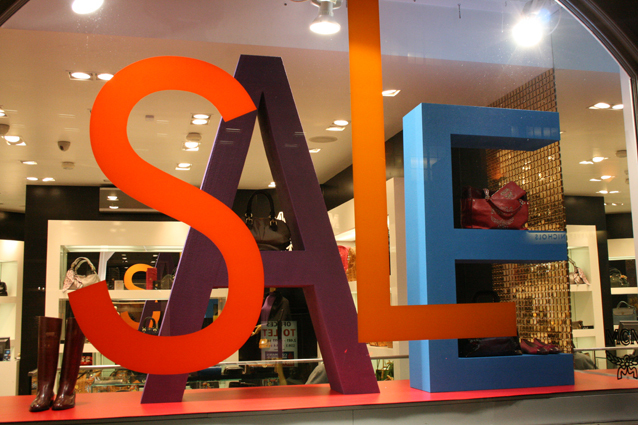 The sale time is nearly over, but I thought it would be good to look at what the stores got up to this winter sale time. 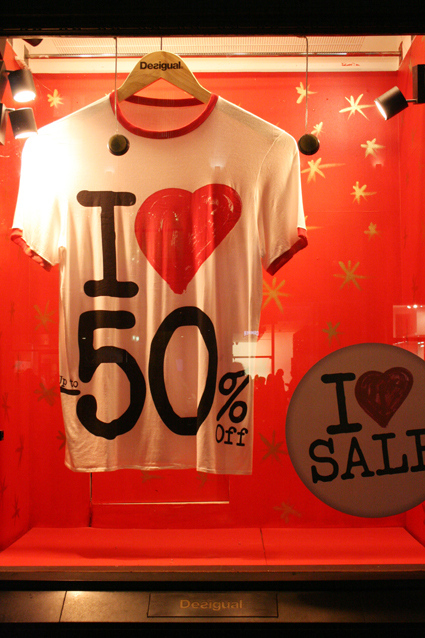 And a couple of windows really stood out from the samey sale POS noise. The White Company, Symons Street. 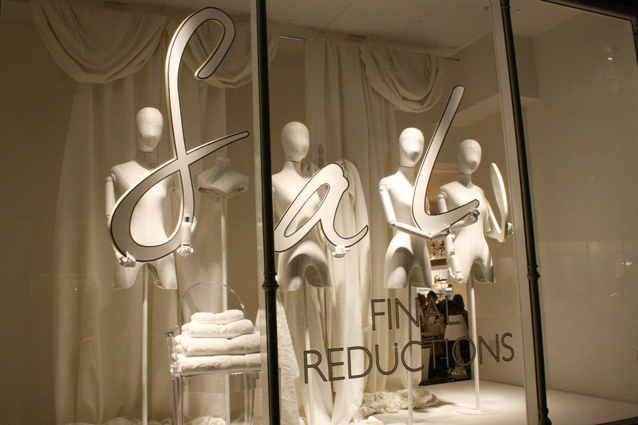 It’s nice to see a completely white sale window scheme, without any hint of red. 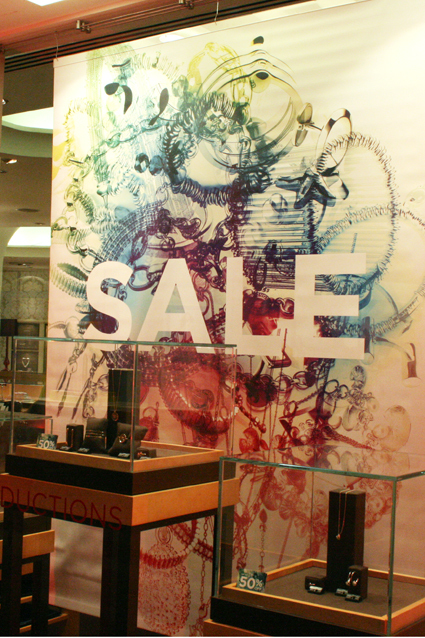 MCM, Sloane Street makes sale look exciting with a fresh take on the chosen colours. The use of three and two-dimensional letters adds interest. 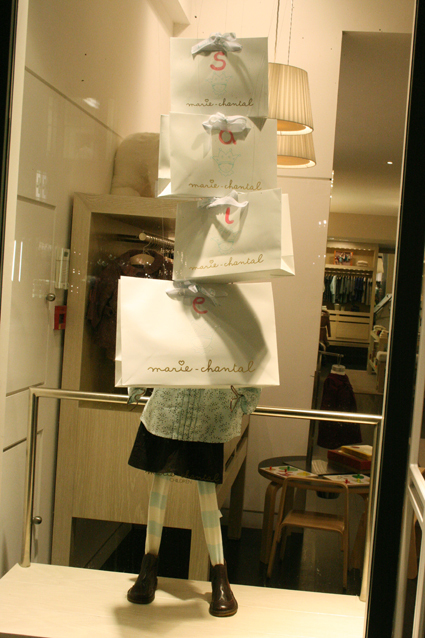 Marie Chantal, Sloane Street. A very understated but funky take on the subject. 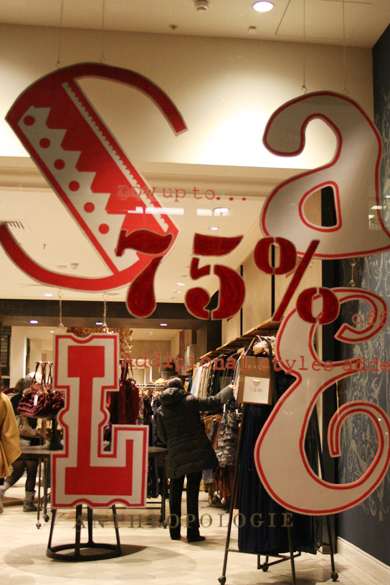 Also very similar to their last winter sale windows, which you can find here. A lot of stores rely on POS posters to tell ‘the sale story’. Here are some that I really liked. Links of London, Sloane Street. Anthropologie, Regent Street add a ‘hand-made’- touch to sale POS. Desigual, Regent Street. Clever use of the iconic I heart T-shirt. Funky idea, but does it look professional enough?